Bertholletia excelsa, Castanha do Pará, or Brazil nut tree, is one of the giants of the Amazon forest, towering above most other trees to heights of 50 metres and a girth of up to 2 metres. It is slow growing, sometimes taking up to 30 years to reach full fruit production and can live up to an amazing 1000 years, with 500 being the average. The Brazil Nut tree produces large, hard pod-like fruits the size of grapefruits that take 14 months to mature. When they are ripe, they fall to the ground without breaking, like small cannons. Inside the fruit, arranged in segments like an orange, lie the nuts encased in individual shells. Brazil nuts are more correctly seeds with unusually high oil content. In fact, you can light them and they will burn like little candles. The tree is pollinated only by the female long-tongued orchid bee that requires a specific orchid to mate. Without the bee and the orchid, the Brazil Nut tree does not produce fruit. The seeds are ‘planted’ by the Agouti, a large rodent with strong enough teeth to gnaw through the hard shell of the fruit to get at the seeds, which it then eats or stores in the shade for later use. Thus the Brazil Nut is one of the few crops that are entirely wild harvested. Brazil Nut Oil is cold pressed from the oily seeds to yield a lovely smelling, clear to light yellow coloured oil. The seeds are roughly 70% oil and contain more selenium than any other seed. The oil is high in oleic acid and linoleic acid with stearic, palmitoleic and palmitic acid in smaller quantities, plus vitamins A, E, C and D, copper, zinc and phytosterols. Brazil Nut Oil is nourishing and hydrating for skin and hair. It has a light texture and absorbs well. It lubricates and moisturises, having natural antioxidant and emollient properties. It also has detergent properties that help stabilise and clean hair, restoring shine and manageability. It helps repair split ends and makes hair soft and silky. It improves the appearance of skin by smoothing and protecting it from dryness. Traditionally, Brazil Nut Oil has been used in the Amazon for liver problems and stomach ache, as well as for food, soap, moisturising and as an insect repellent. Today it is used as a cooking oil. The Brazil Nut is an important source of calories, fat and protein for many Amazonian tribes. 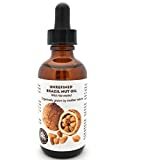 Brazil Nut Oil is used commercially in soaps, lip care, skin creams and cosmetics, especially hair products like shampoos and conditioners for its ability to soften and condition dry, lifeless hair. For skin it is suitable for dry, cracked, mature and ageing skin, as well as skin conditions like eczema and psoriasis. As a cooking oil, Brazil Nut Oil is nutritive and an excellent source of selenium. It has a delightful sweet and nutty taste and can be a good olive oil substitute. Top and tail the green beans and steam lightly until just tender. Transfer to a shallow serving dish. Mix all the other ingredients together, except the salt and pepper and pour over the beans. Mix to coat and season with salt and pepper.